Jamaican producer and artiste Trackstarr has been based in Connecticut in the US for quite a few years and has steadily been working with Jamaican artistes from the Tri-State area to give them a voice. Since he recently added artiste to his resume Trackstarr has been even more determined to make his voice be heard and be the best in both arenas. He aims to be the no 1 coming out of the Jamaican Diaspora in the US. As has previously been announced and published, Trackstarr is gearing up to release his latest project, the Tri-State Riddim next month and this project is quite important to him as many Jamaican artistes and producers who reside in the Diaspora are often overlooked and not acknowledged in their home country. The main goal of the riddim is for additional promotion for Trackstarr’s productions in the US as well as his native Jamaica and to build a strong foundation with selectors and Djs. At the same time Trackstarr also wants more exposure for young dancehall talent in the Diaspora as those young artistes rarely get the exposure they deserve and very little opportunity to shine and display their talents. Ideally the Tri-State Riddim brings together Jamaican and US talent and play everywhere without limitations by any boarders. The artistes featured on the Tri-State Riddim are Haskell from Connecticut, who has been working with Trackstarr also on previous projects as well as New Breed from New York. Rally Bop is representing for the Bronx and has already recorded his song. Overall there will be 12 to 15 artistes featured on the riddim including also producer Trackstarr himself as an artiste as he has recently experienced success with his single releases. 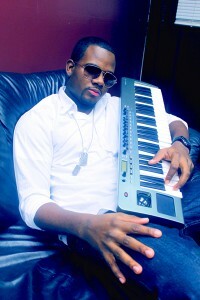 Trackstarr takes his role very seriously and aims to be the no 1 producer of Jamaican music in the US Diaspora. He will continue to produce for Jamaican artistes in the US as well as release his own music, working on his career steadily. Trackstarr says he would like to be like Stephen McGregor whom he respects greatly for his work and talent as producer and artiste. He wants to be the Genius of the Tri-State. With recent releases and performances as an artiste nothing can stop Trackstarr as he is fully focused on achieving his goals. He is also set to release a string on web promo videos and the latest, “Money Affi Mek: is now available. “Money Affi Mek” followed “Can’t Wait No Longer” and forthcoming are “Gyal Anthem” for the ladies as well as “Gyallis Anthem” featuring fellow artiste Haskell. For more info, music and interviews please contact me any time!